April is STD Awareness Month and the San Antonio Metropolitan Health District is using the occasion to initiate its new mobile testing van along with a campaign to test at least 4,000 Bexar County residents for sexually transmitted diseases. 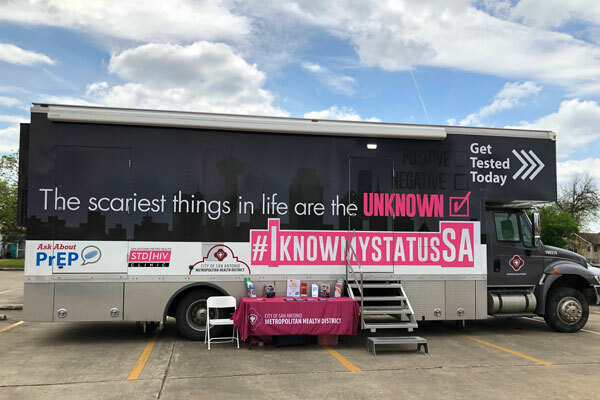 The campaign, tagged #IKnowMyStatusSA, kicked off last week with the testing van traveling the city manned by Metro Health staff encouraging residents to get themselves tested. The mobile unit functions as an extension of the health clinic and has the ability to provide testing and treatment for most STDs. The awareness campaign originated with the Centers for Disease Control and Prevention to publicize the impact STDs have on the lives of Americans and to stress the importance of prevention, testing and treatment. Testing is particularly important in the San Antonio area since it was named one of 48 HIV “hot spots” by the U.S. Department of Health and Human Services. A “hot spot” represents a transmission cluster of cases where the virus in the infected individuals is of a genetically similar strain. Metro Health statistics show that locally one in eight people with HIV don’t know they have the virus. For the past ten years, Bexar County’s new HIV diagnosis rates have been higher than state and national rates. 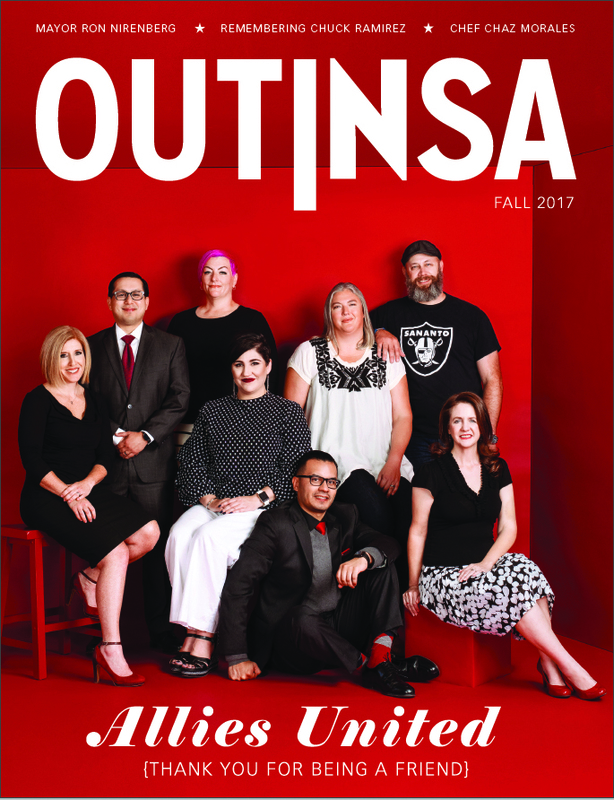 Metro Health estimates that in 2017 there were approximately 6,000 people living with HIV in Bexar County. 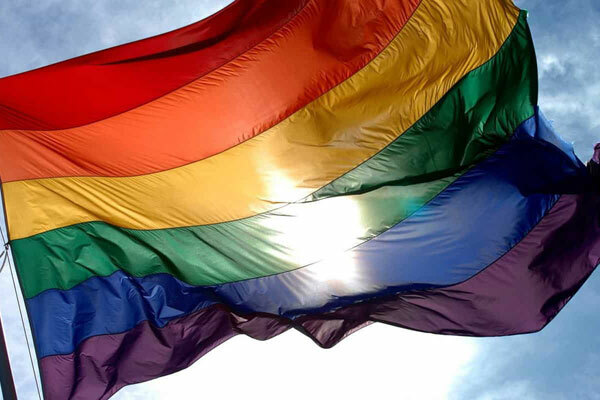 In the past five years, the HIV epidemic has expanded in San Antonio, particularly among young gay and bisexual men, Metro Health reported last year. Additionally, Bexar County ranks third in the state in the number of chlamydia, gonorrhea, and syphilis cases it has reported. In order to promote the #IKnowMyStatusSA campaign, City Councilwoman Ana Sandoval is spearheading a friendly competition among City Council districts to see who can get the most residents tested. This is the second year such a competition has been held. More than 4,000 San Antonians were tested for HIV in 2018, in response to a challenge issued by then-City Councilman William “Cruz” Shaw. In that contest, District 5 came in first with 506 HIV tests performed. District 3 took second place with 480 tests and District 2 was third with 479 tests. This year’s campaign is being held in association with Metro Health’s prevention partners including Alamo Area Resource Center (AARC), Beat AIDS Coalition, Center for Health Care Services, SA AIDS Foundation, San Antonio Fighting Back, and the University Health System FFACTS Clinic. Residents can get tested at any of these organizations. Use this link for a list of the testing van’s locations, dates and times.